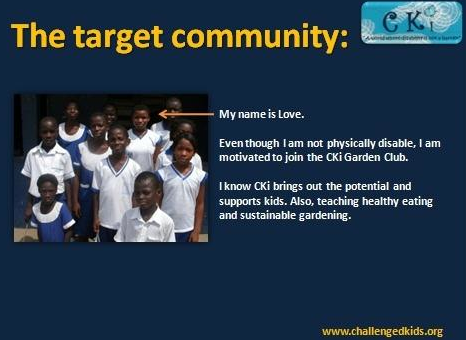 Challenged Kids International (CKi) is a nonprofit / non-governmental organization started by friends in 2010 who through their experiences realized the need to encourage children facing economical, social, health, physical, and mental challenges to see beyond their disabilities and strive to achieve their personal goals in life. 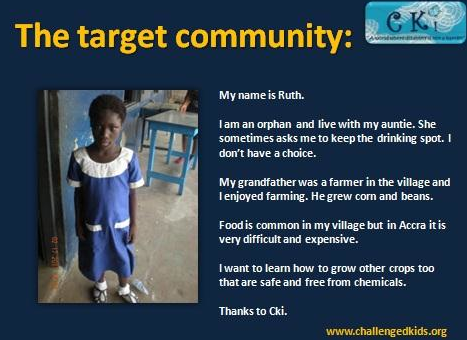 The organization works with challenged kids in the developing world. To support challenged kids to utilize their strengths through educative, cultural and innovative activities to enable them to build and develop their own capabilities. All children, regardless of their abilities or social impedements place upon them, deserve to live in a society which supports their full potential.